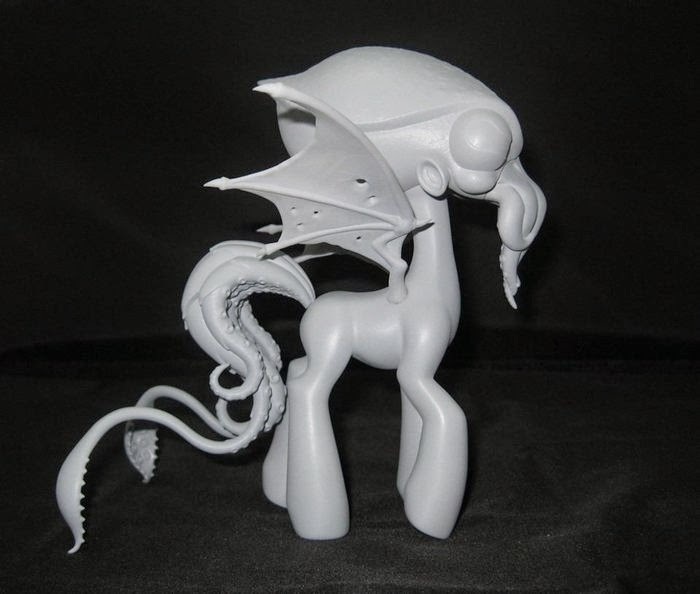 They made a ton of noise across the internets when some art of Maddie, the lovable Cthulhu-esque pony was discovered. 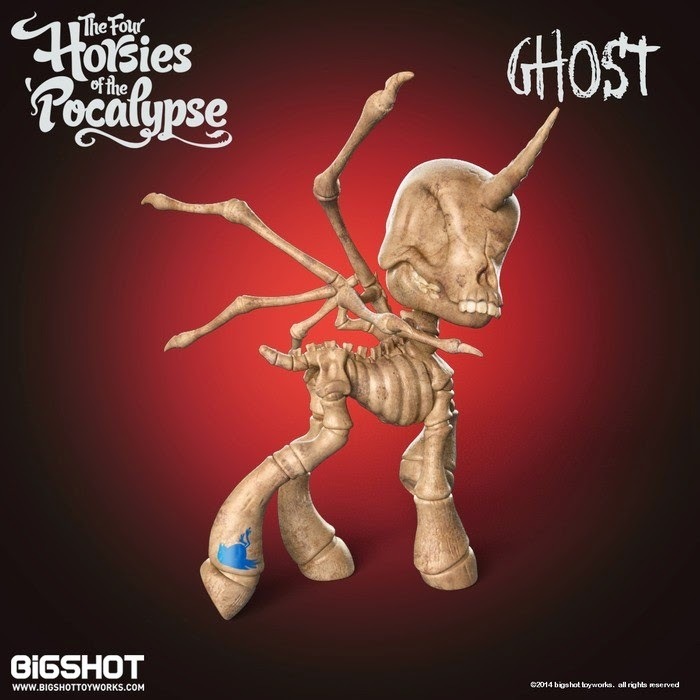 This snowballed into the Kickstarter currently picking up steam and set to make this Horsie of the Pocalypse a force for destruction among your toy collections! We grabbed Klim Kozinevich to find out how it all began. 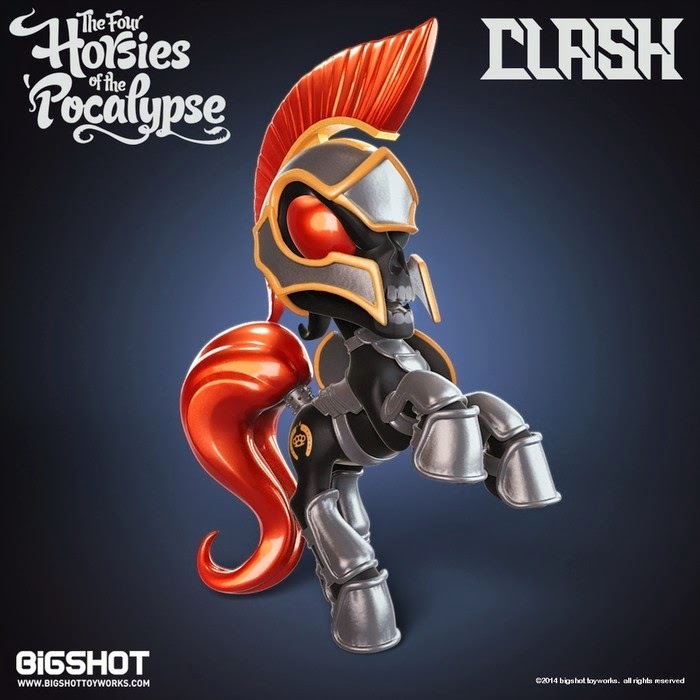 Paul Nicholasi: Those who have been in the toy industry for some time know Bigshot Toyworks as the creative force behind killer collectibles from major action figure giants to renowned artists realizing their creations in plastic. So what exactly does Bigshot Toyworks do? Usually we set up teams of experts to tackle any given project. You need a story? We get a writer in to work with our concept and character guys. You have a story? 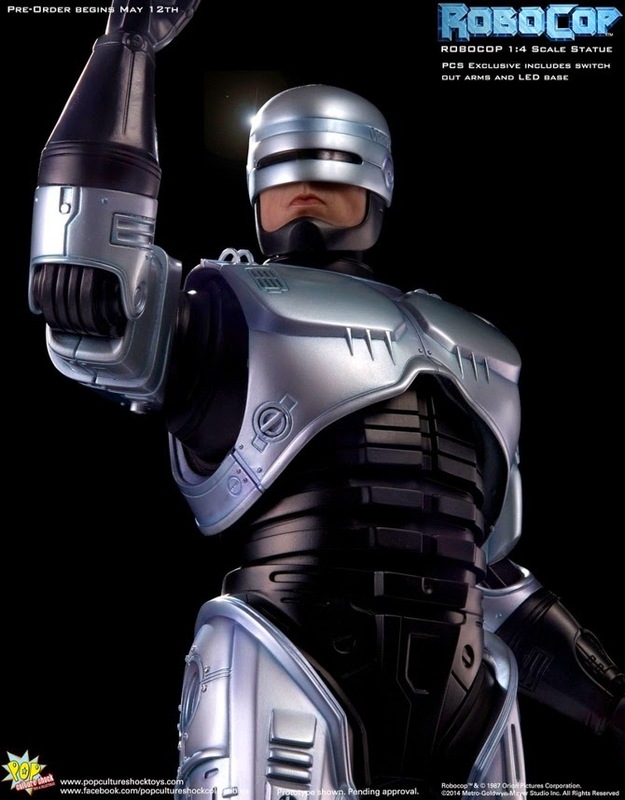 We will drop it into our cycle and create amazing looking characters, vehicles and props. 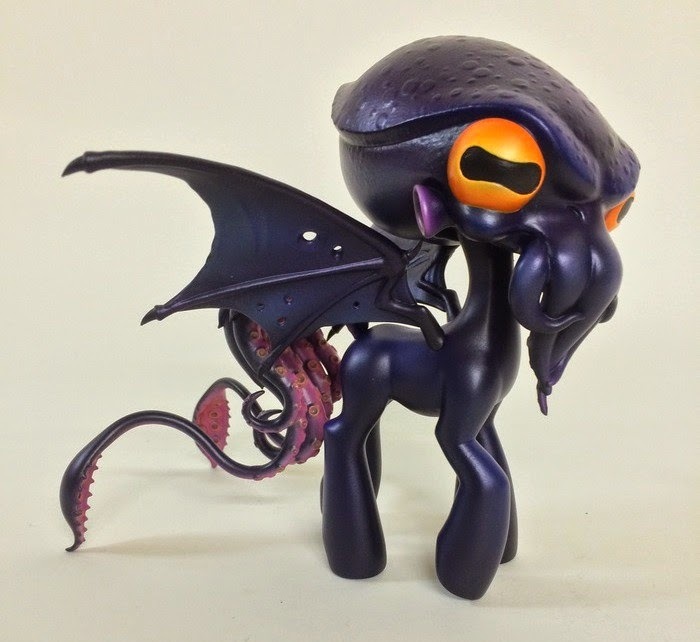 You want to make toys? 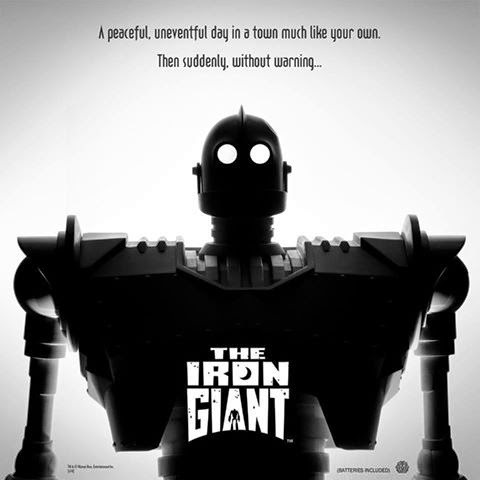 We have made hundreds of unique products ranging from theme park premiums and advertising giveaways to remote controlled cars, fully articulated action figures and high end collectibles for the games and film industry. Basically, over the past 18 + years, we have been building a network of some of the best artists working in the industry and pull them in on a project to project basis. This has been a great success and we are always expanding and growing. PN: With all of this creative energy constantly being thrown about, you must have been dying to create your own products at some point. KK: Many friends clients and colleagues have looked through my personal sketchbooks and often suggested I should be creating my own projects. 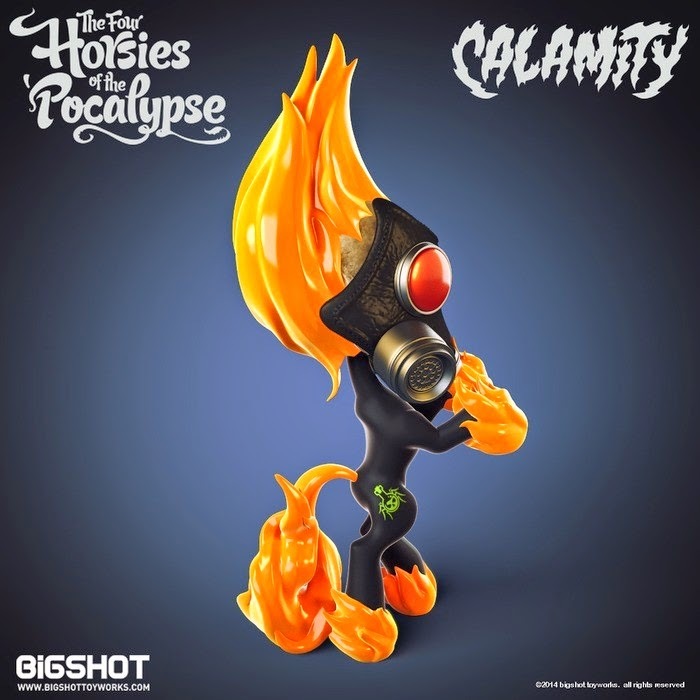 I have been building quite a library of new brands, concepts and characters and “Maddie and the Four Horsies of the ‘Pocalypse” is the first of what we hope will be many fun projects down the line. PN: What was it like to bring these adorable lords of chaos to life? PN: So they've got back stories? KK: They all have stories. There is a whole world and a hilarious premise that sets up all the animated shorts we have planned. All this kicks off with Maddie. She is the primary character that holds the others together. 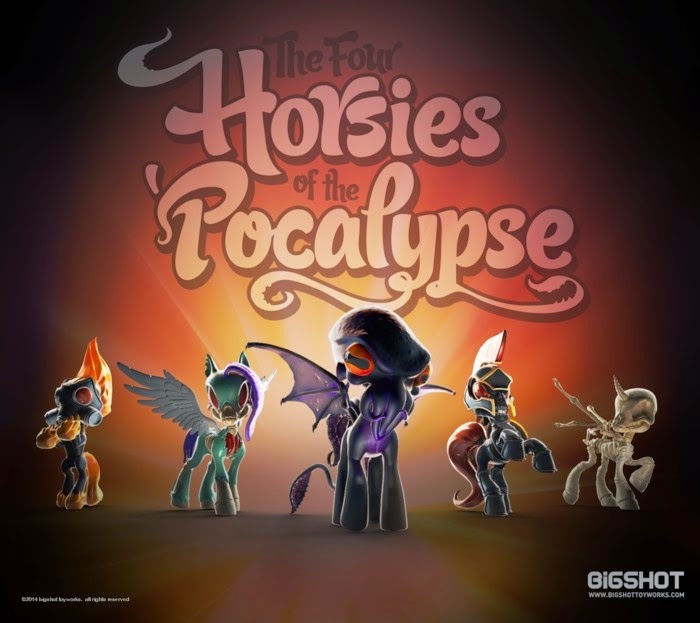 The 4 Horsies are all troublemakers in their own way. In fact, they are the ones that are set to bring on the 'Pocalypse, but they just can't get it together to make that happen. Maddie is the "Older one" tasked with the job of keeping them in line, teaching them and helping them become the Nightmareish fillies they are destined to be. PN: Are they distracted by cartoons and endless hours of Ancient Aliens? KK: and school! They are always trying to bring on the 'Pocalypse but fail miserably and Maddie is always frustrated. PN: So what can we expect to see in the months to come as the Kickstarter rolls out? 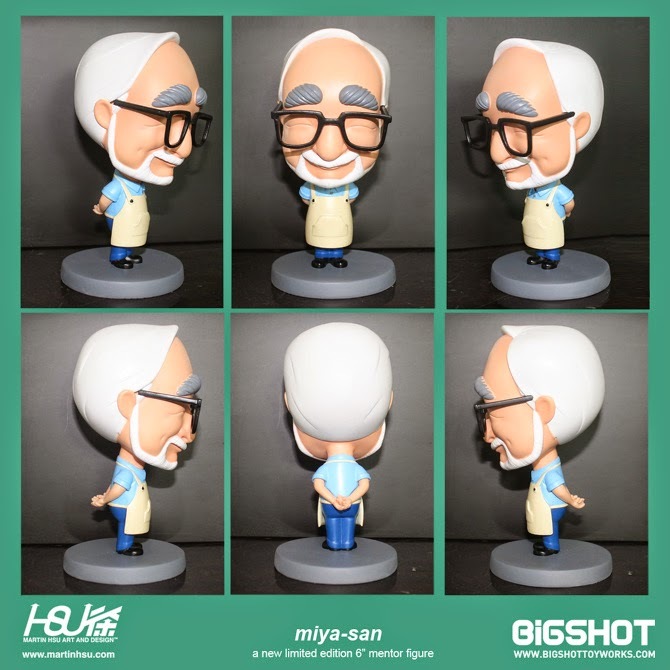 For more info on Bigshot Toyworks, head over to their WEBSITE! 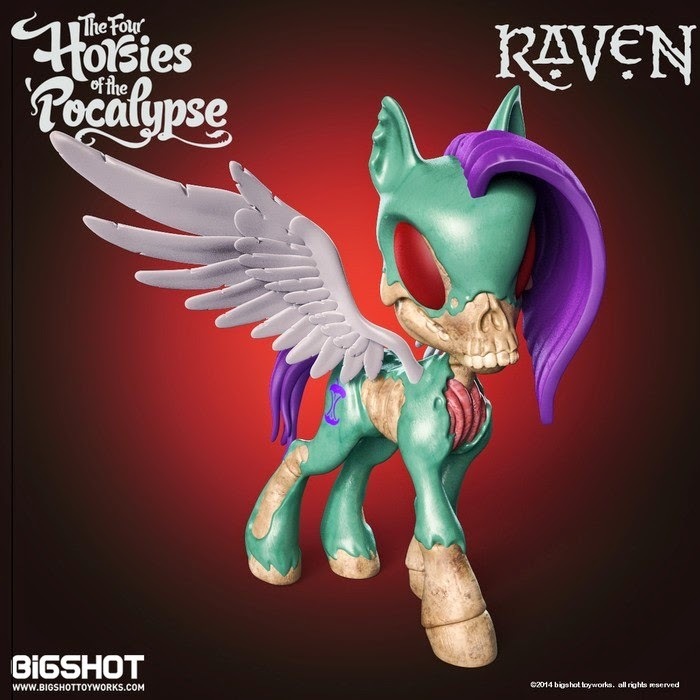 To secure your own Maddie and bring us all one step closer to a full line of Four Horsies of the Pocalypse, hit their KICKSTARTER and make it happen!